The Central Bank of Ireland has granted authorization to Dublin-based subsidiary of Everest Re Group to operate as an authorized non-life insurer in Ireland. The Dublin subsidiary, to be named Everest Insurance Ireland (EIID), will continue the expansion of Everest Insurance franchise. It will facilitate the company to operate throughout the European Union (EU) under a single regulatory framework. 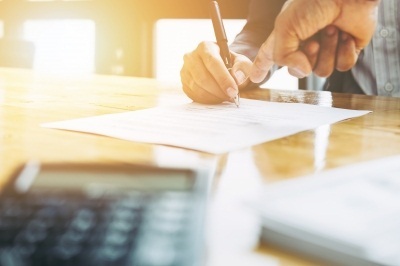 The EIID has been permitted to underwrite a range of specialty commercial insurance products, including third-party liability, property and financial lines, in Ireland. EIID will initially focus on the underwriting of trade credit and political risk insurance. Stephen Cross, who has over 35 years of global experience, has been appointed as the chief executive officer of EIID. Stephen held multiple roles across underwriting, risk consulting and advisory, broking, captive management, and data and analytics. He served as chief innovation officer at Aon. “Our new Irish insurance platform will complement our North American Insurance operations and our Lloyd’s Syndicate and enables Everest to serve clients through insurance transactions originating in the European Union. Establishing this platform is an important milestone in executing our strategy,” Addesso further said. Everest Re Group is a holding company based in Bermuda. It has subsidiaries in the US, the UK, and Europe. Image: The Dublin subsidiary, to be named Everest Insurance Ireland (EIID), will continue the expansion of Everest Insurance franchise. Photo: courtesy of nateemee at FreeDigitalPhotos.net.